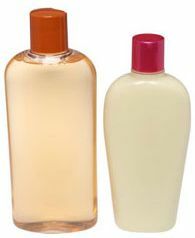 Leave in conditioners make sense for people with very dry hair, just like lotion for very dry skin. But if you have fine hair or a loose wave pattern, should you use a leave-in conditioner? If your hair frizzes, leave-ins can dramatically reduce frizz. They can also soften the “crunch” of a hard-hold gel as well as help define poufy or frizzy hair into ringlets, spirals and waves. The important thing is to find the right leave-in conditioner for your hair type. If your hair is very curly or dry, oils and emollients are ideal. If your hair is fine or easily weighed down, look for moisturizers (aloe, sodium PCA, hyaluronic acid, protein, panthenol) in a leave-in. Not everybody needs a leave-in conditioner, and it can be as simple as using your rinse-out conditioner, but they can have benefits for every hair type, so it is worth your time to try it out - tomorrow!